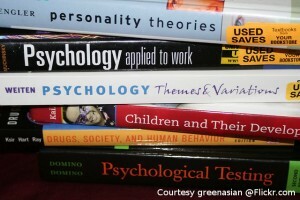 As textbook costs rise, major publisher take a new approach toward an electronic format. But will students and administrators go for it? Recently, a lot of buzz has been generated about the future of textbooks. While some see the traditional textbook as an irreplaceable part of Higher Education, a growing number of people are calling for a reworking of how students receive their course materials. The focus has turned primarily to the growing role of electronic books, and their impact on education. Due to this, many publishers have come to realize that the traditional textbook model is quickly becoming obsolete. But textbook publishers have adapted, and in the face of an industry-rattling shift from paper to digital formats, many publishers are coming up with ways to both differentiate themselves and capture a share of a growing e-book market. As part of this push towards the e-book format, major publishers have taken some interesting initiatives. McGraw-Hill recently launched Create, a service that allows instructors to mix and match selections from various textbooks, articles, and even upload their own sources to create their own custom textbook. Students then have the option of downloading an electronic version or, for a higher fee, ordering a hard copy. Macmillan Publishers has also stepped into the customizable e-book arena. Theyâ€™ve launched Dynamicbooks, with the promise that it will be the â€œnext generation of interactive textbooksâ€. The service allows instructors to tailor one of the existing titles for their course. Instructors are invited to rearrange, alter or delete chapters, write their own content, include study questions, even embed video and audio into the coursepack. Like McGraw-Hill, students can opt to purchase the e-format version, or pay a little more for a printed version. While some of the most commonly cited reasons for supporting the shift to a digital format are tangible, it costs far less both monetarily and ecologically to produce and distribute digital work; many of the potential benefits of this system are yet to be seen. Will students make the switch from paper to digital course materials any time soon? Will professors make the time investment required to carefully tailor and review their course materials every semester or two? There are also hardware considerations; a switch to digital format would require every student to purchase an e-reader of some kind (even so, the cost savings over paper books would likely defray this expense). At SAGrader weâ€™re big fans of technology and its potential –when properly applied– to enhance the learning process. However, technology is only as good as the methods and context within which it is used. A move towards digital textbooks would require added training for instructors not only on how the technology works, but also on how to best use it effectively. As an evolving trend, the ways in which these technologies can be used to enhance learning are still being developed. It will take a combination of technology and proper teaching methods to unlock the power and capabilities that the digital format provides.